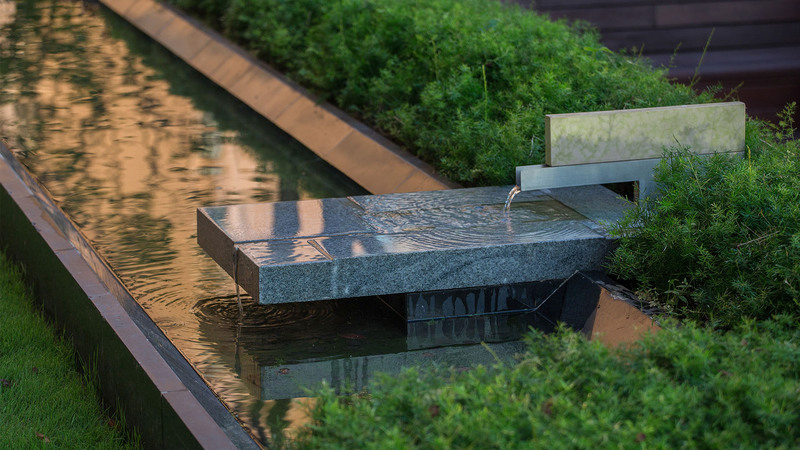 A single drop of water creates ripples on a pond—reverberating movement and energy throughout the surface, affecting everything all around. The row of architecture bisects the landscape into two distinct territories – north and south. The division is turned into a duet of harmonious landscapes. 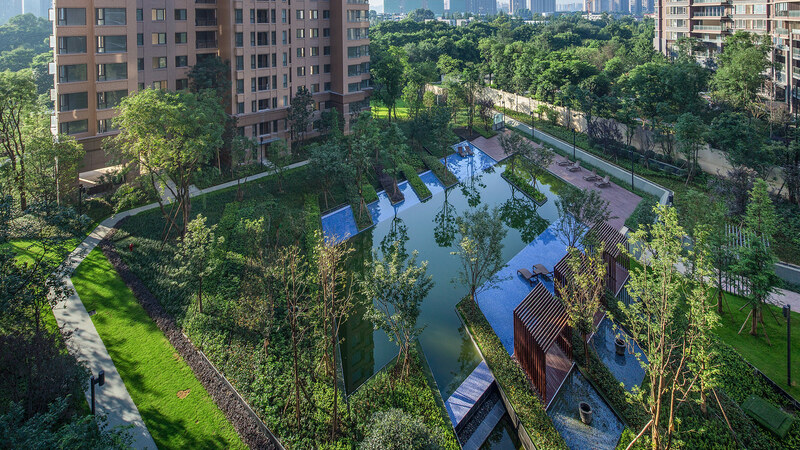 As the site is narrow, the sinewy extension of the landscape creates a robust impression of space. 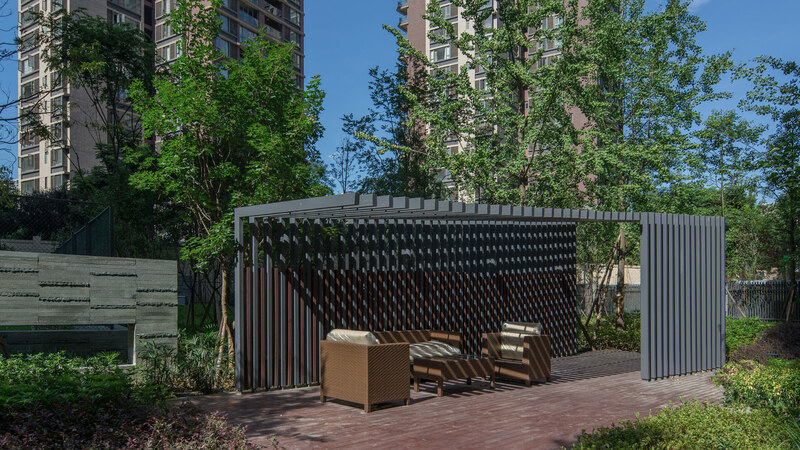 The north embodies the spirit of contemporary Chinese courtyard garden – poetic spaces rich with traditional symbolism embraced by modern detailing and spaces. 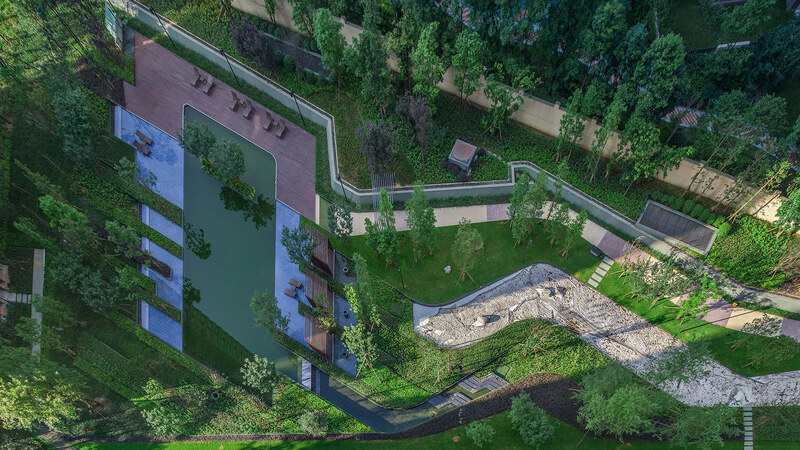 Twelve stone walls frame the spaces and feature each character of the Chinese zodiac. 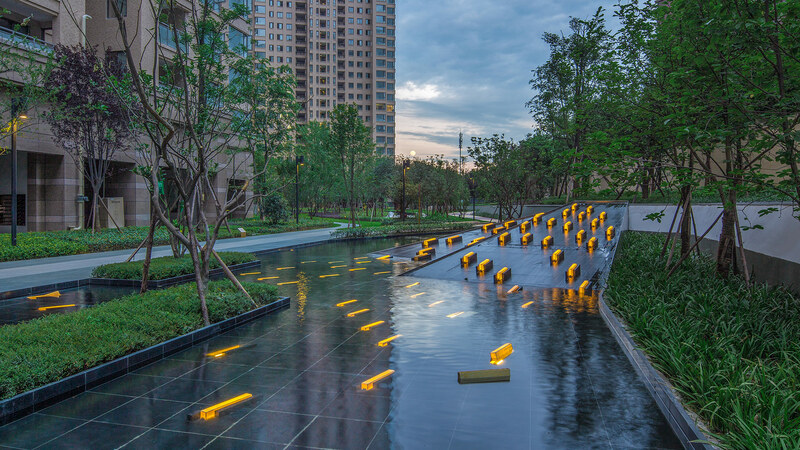 As a modern touch, dynamic dashes of light shoot through the landscape enlivening the stone paths. 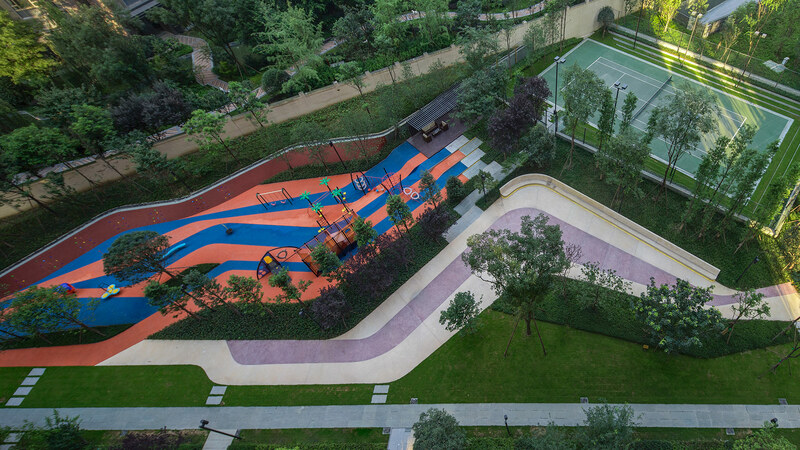 The south side plays with terrain as land art – graphic planes turning and undulating in all dimensions. The free open spaces suitably counterpoints the more intimate gardens of the north. 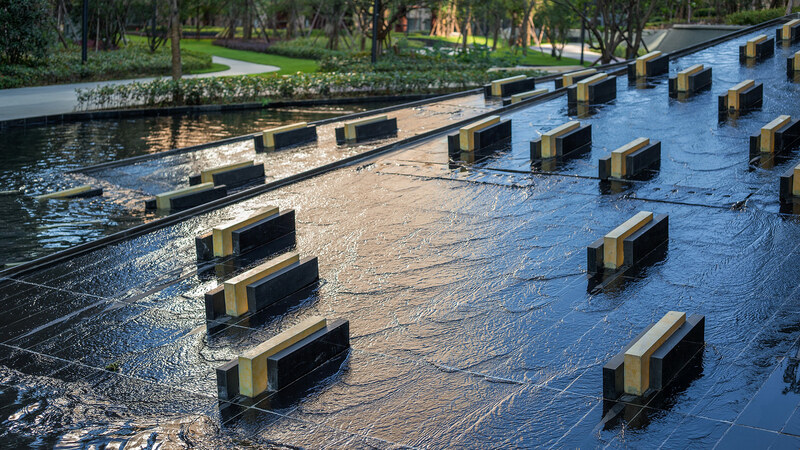 Quirky light bricks playfully spill out from a tilted plane cascade, creating a novel landscape feature.